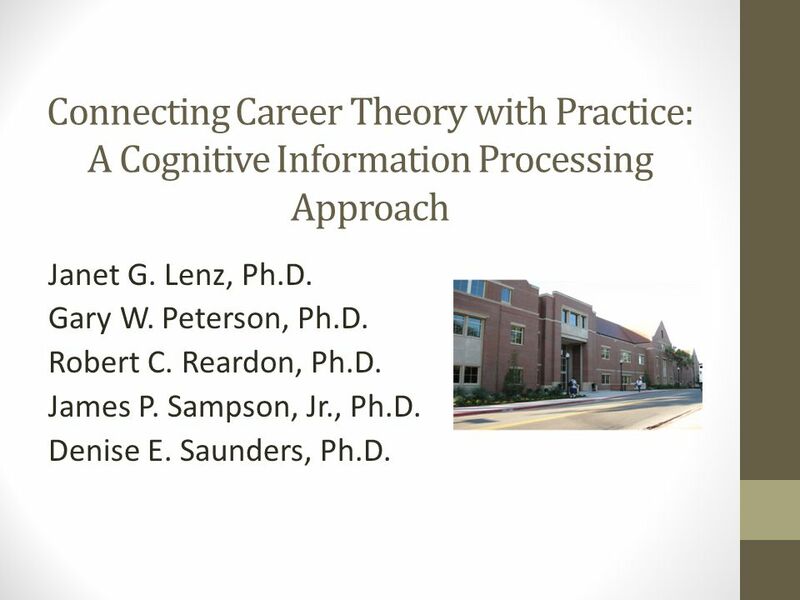 Connecting Career Theory with Practice: A Cognitive Information Processing Approach Janet G. Lenz, Ph.D. Gary W. Peterson, Ph.D. Robert C. Reardon, Ph.D.
1 Connecting Career Theory with Practice: A Cognitive Information Processing Approach Janet G. Lenz, Ph.D. Gary W. Peterson, Ph.D. Robert C. Reardon, Ph.D. James P. Sampson, Jr., Ph.D. Denise E. Saunders, Ph.D.
13 Readiness The capability of an individual to make appropriate career choices taking into account the complexity of family, social, economic, and organizational factors that influence career development Source: Sampson, J. P., Jr., Reardon, R. C., Peterson, G. W., & Lenz, J. G. (2004). 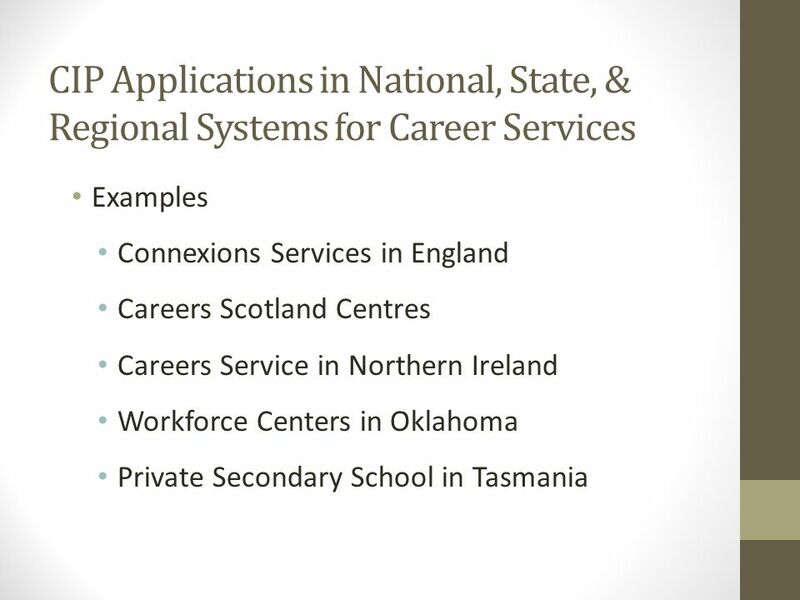 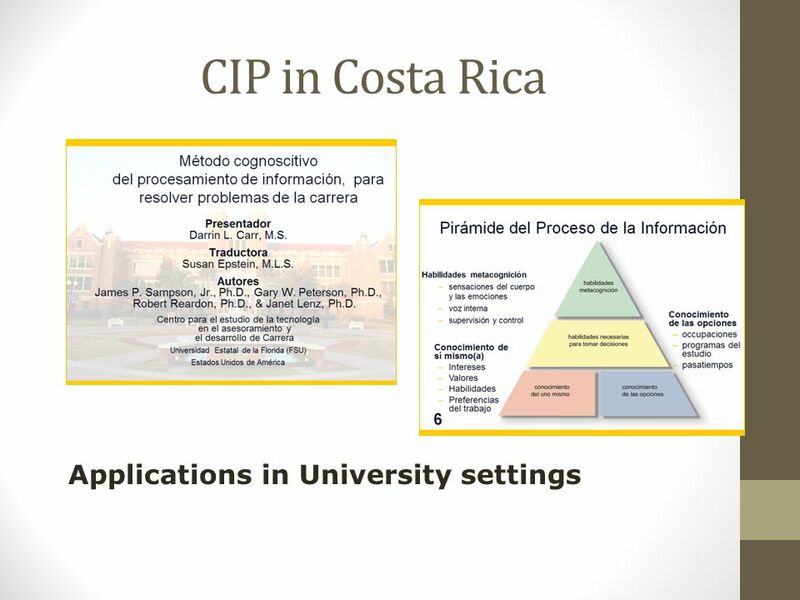 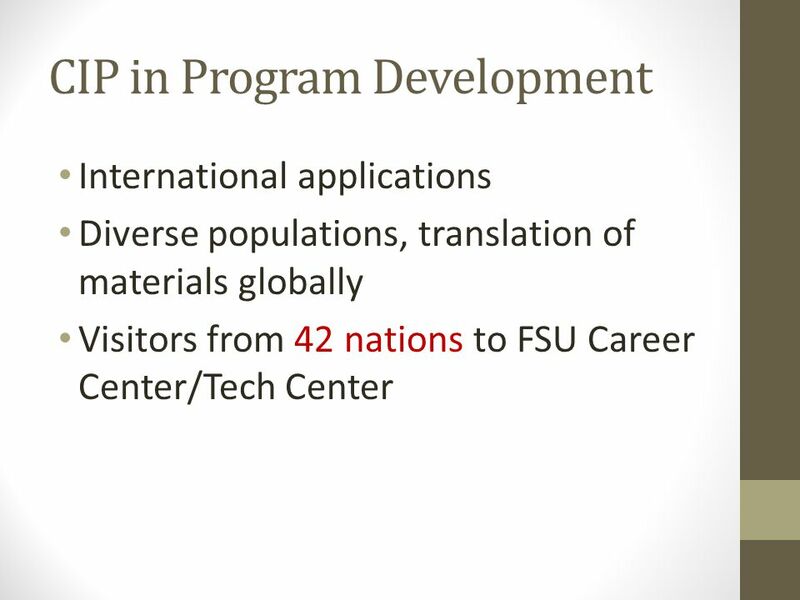 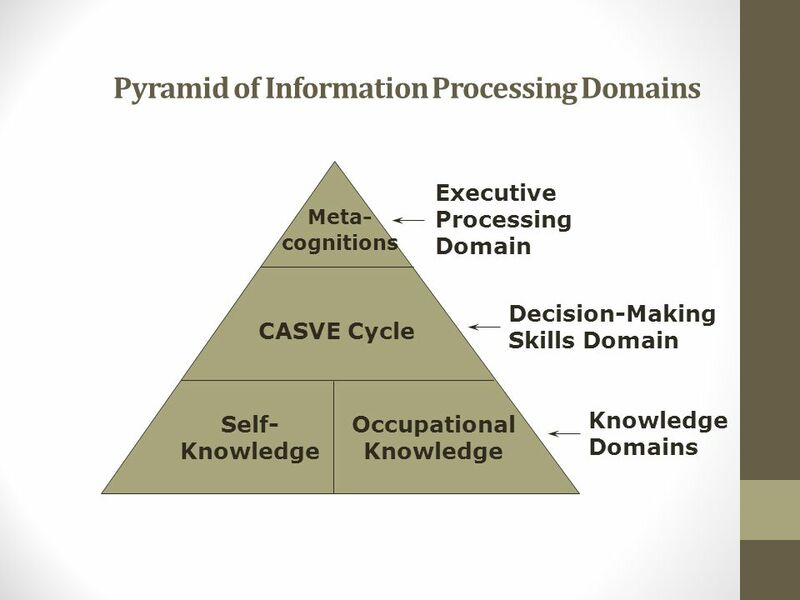 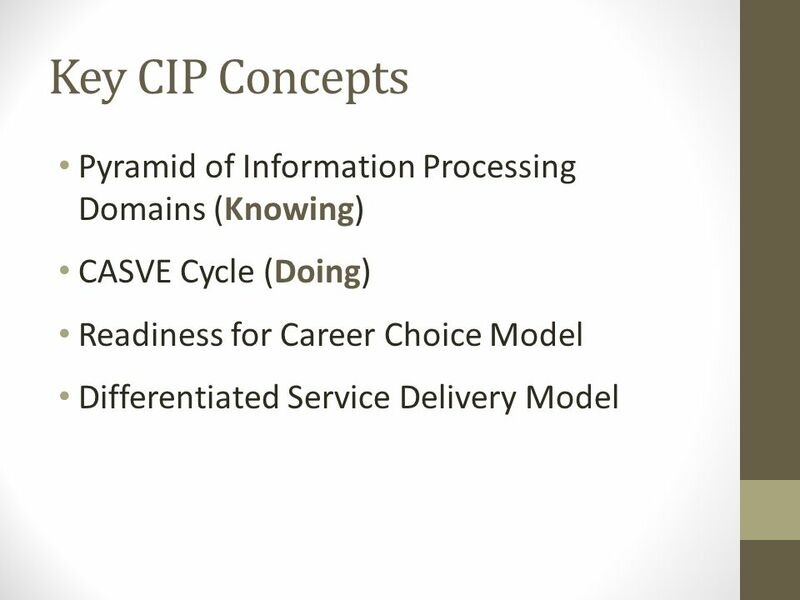 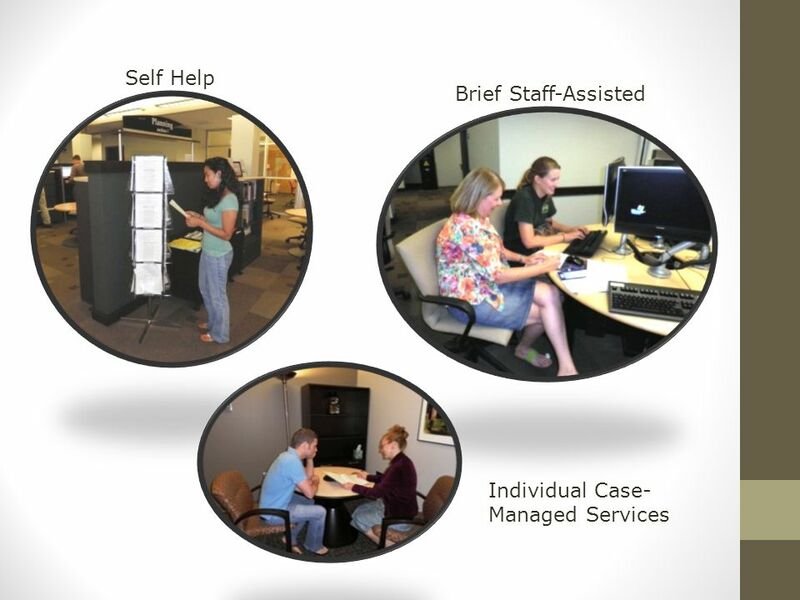 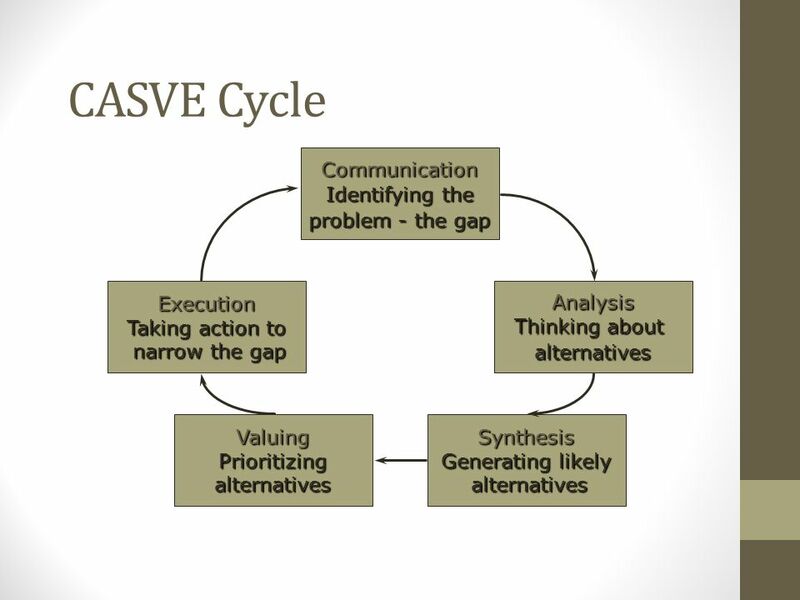 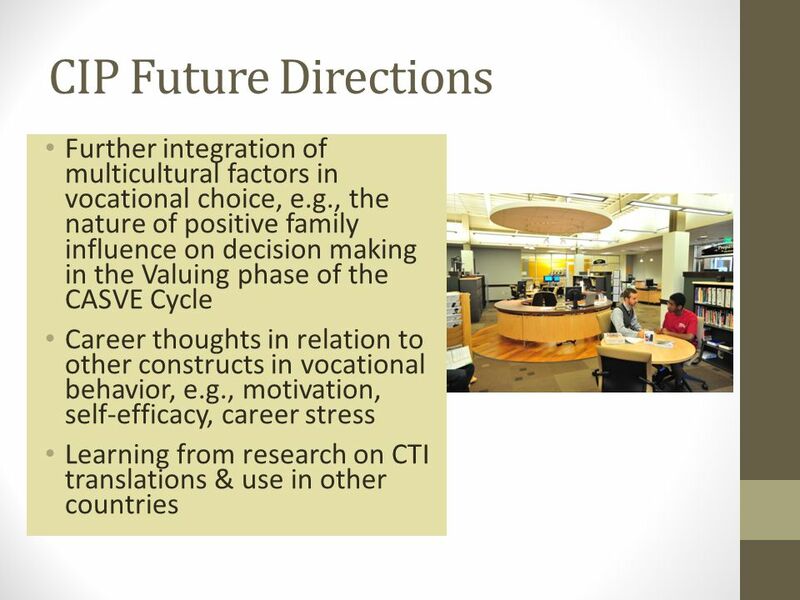 Career counseling and services: A cognitive information processing approach. 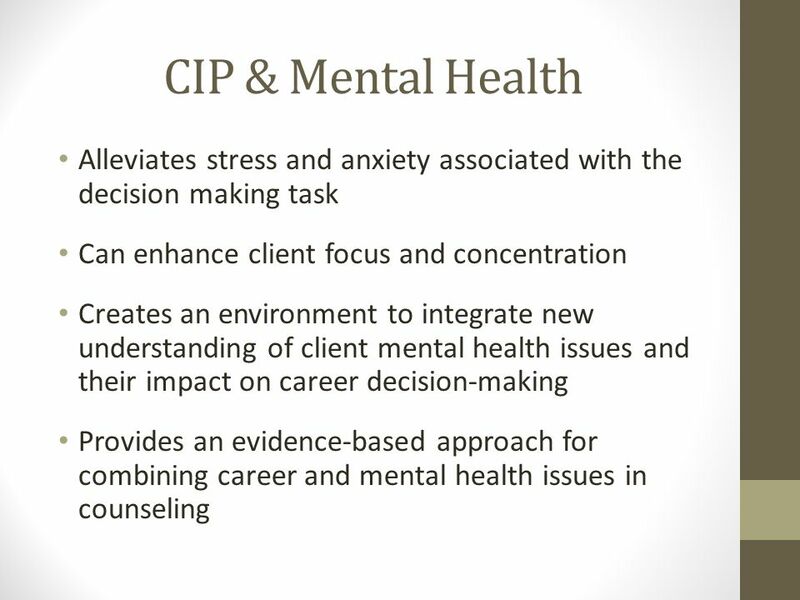 Pacific Grove, CA: Brooks/Cole. 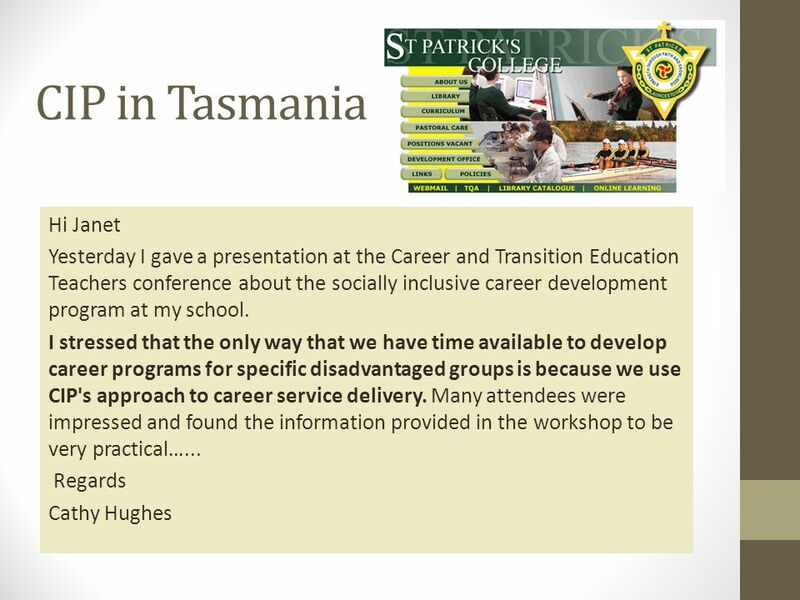 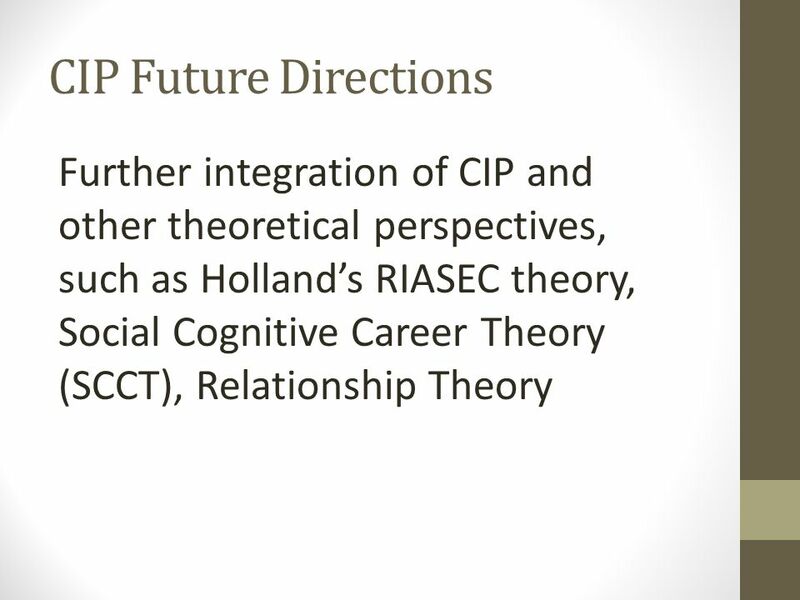 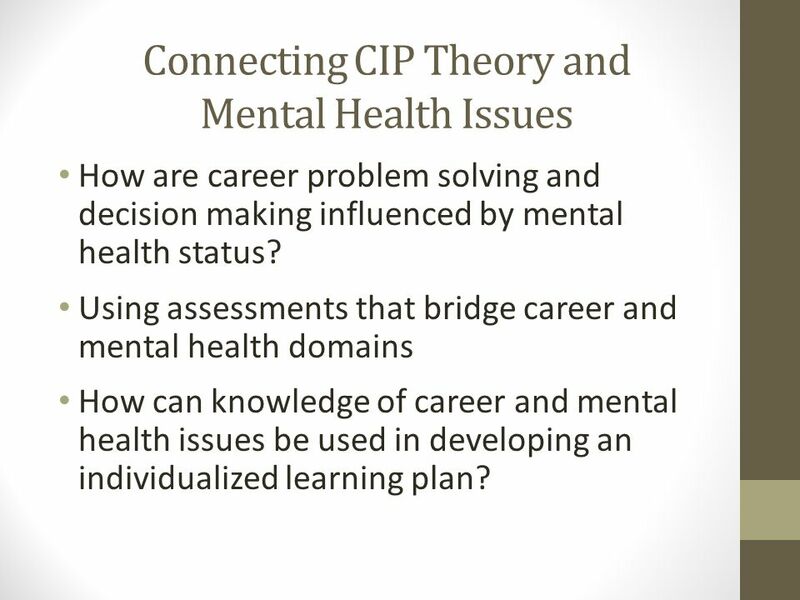 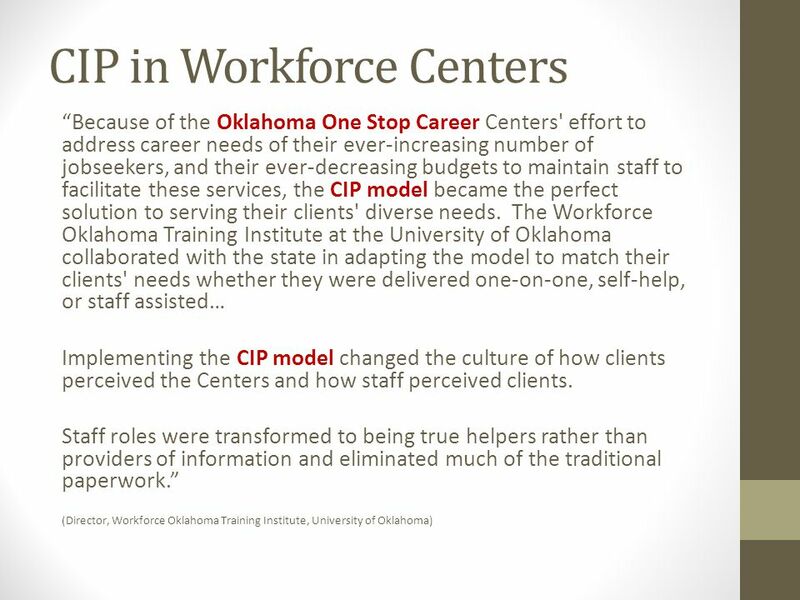 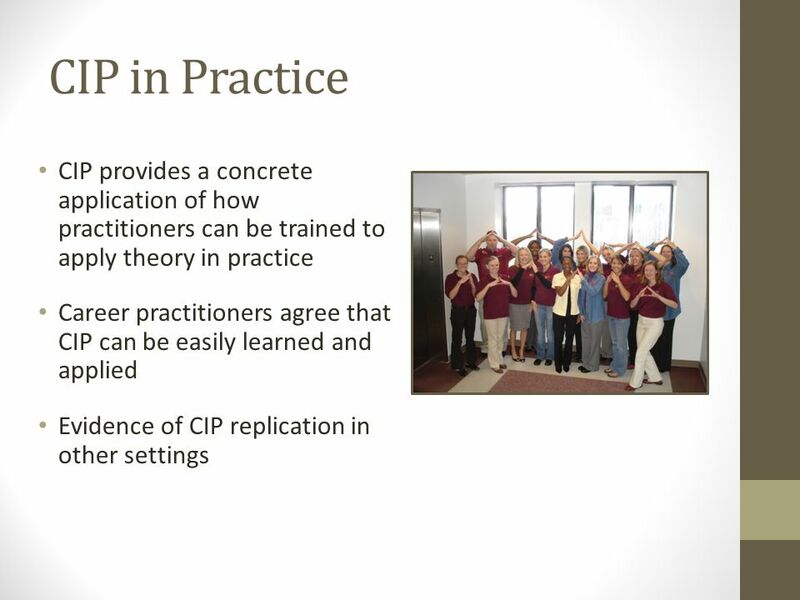 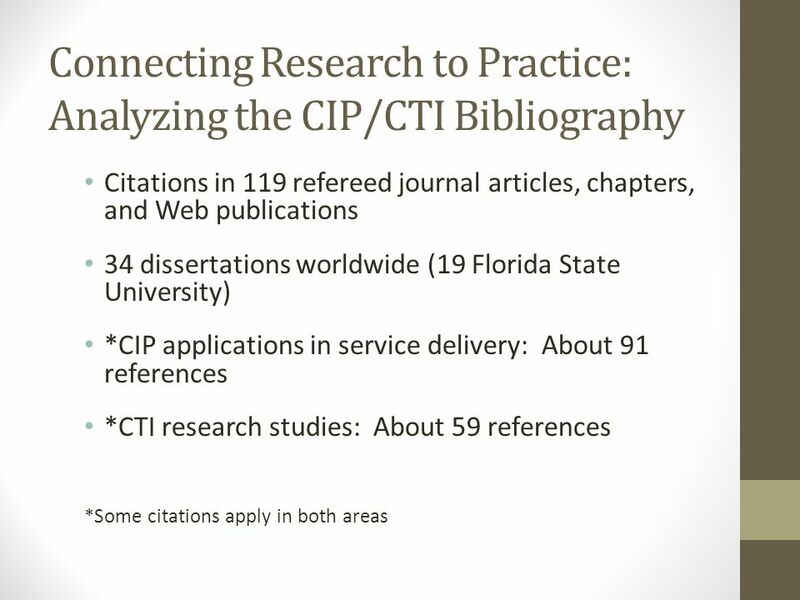 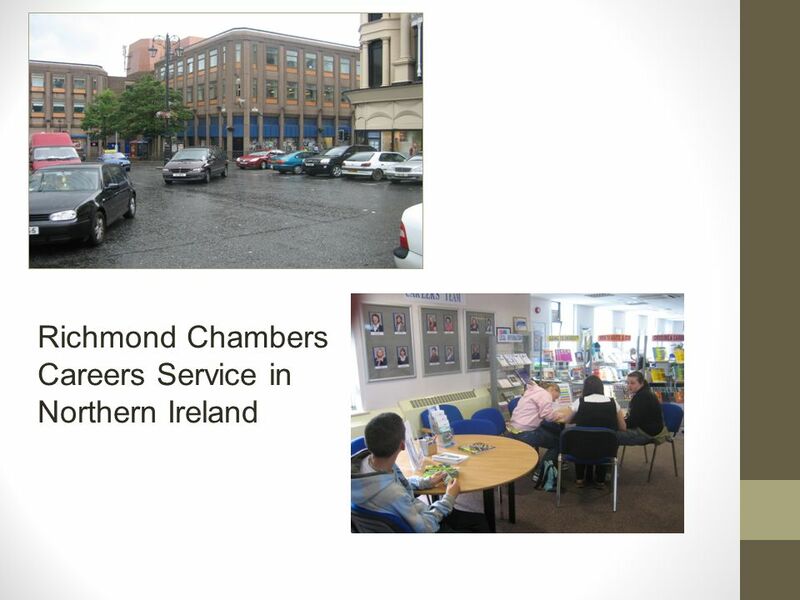 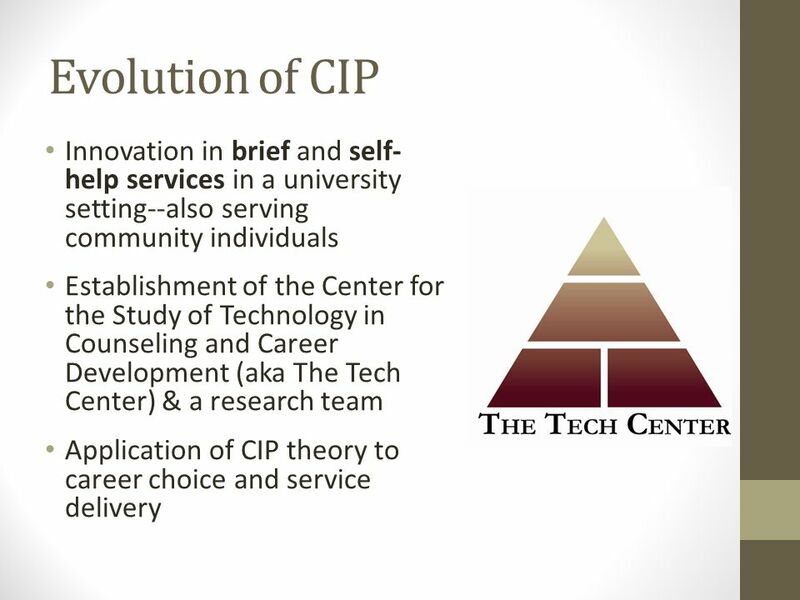 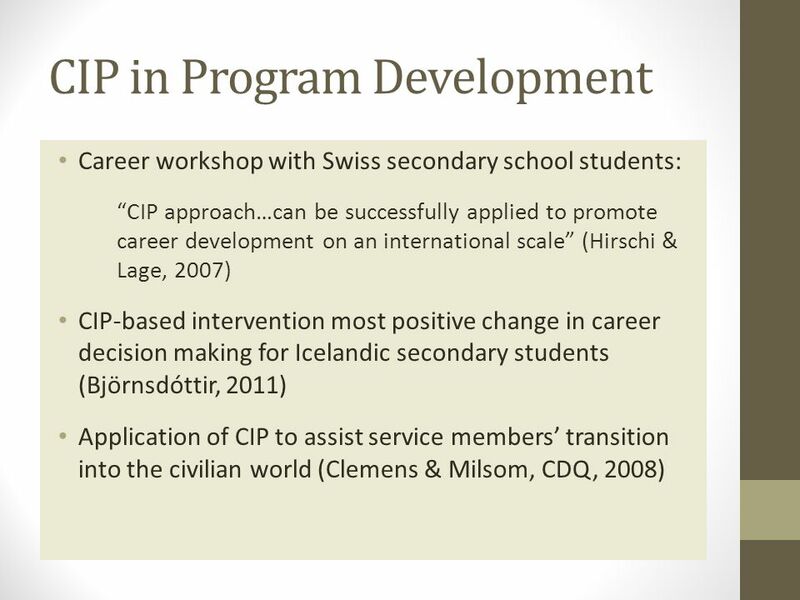 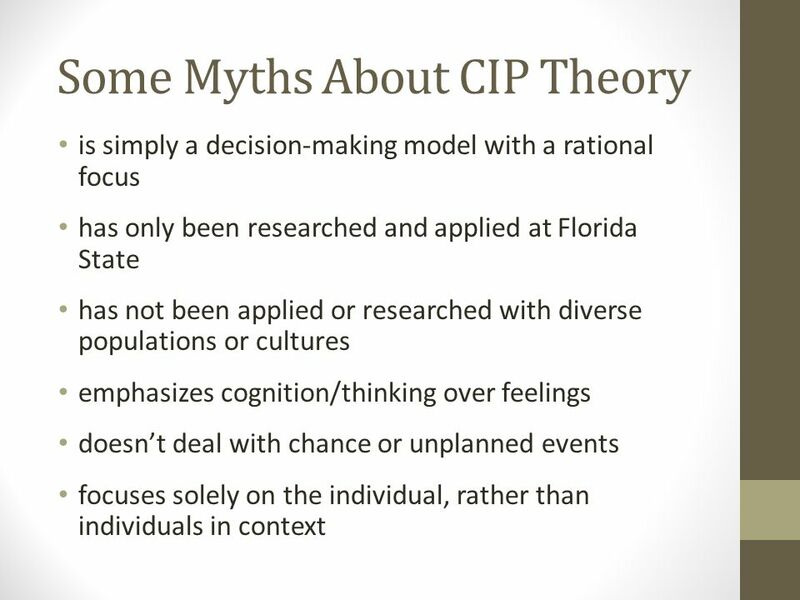 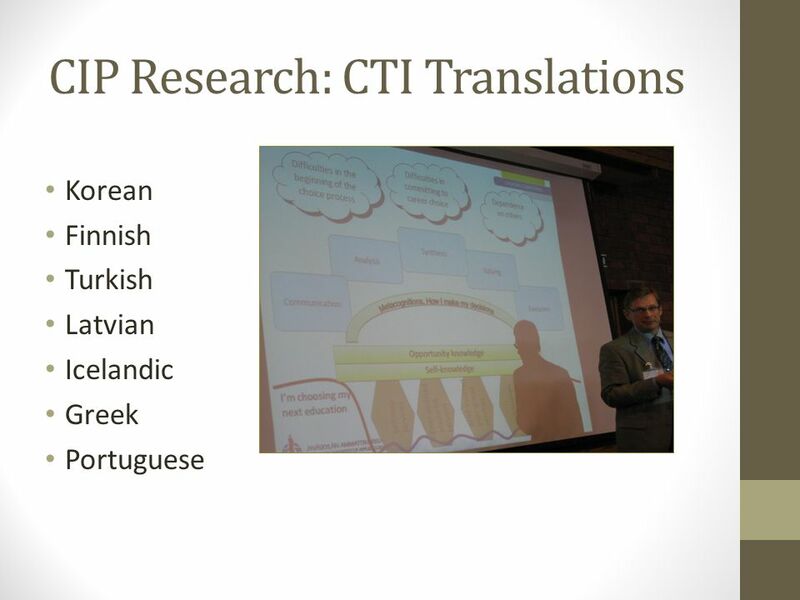 25 Connecting CIP Theory and Mental Health Issues How are career problem solving and decision making influenced by mental health status? 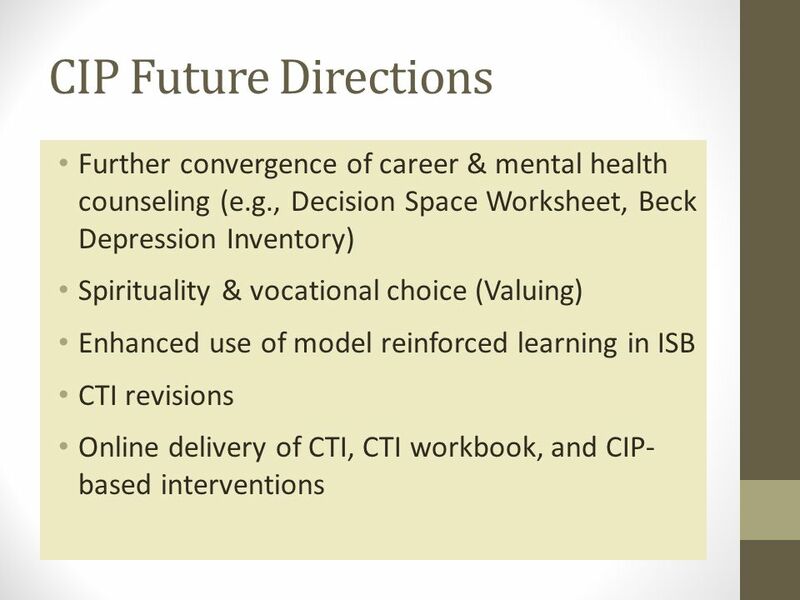 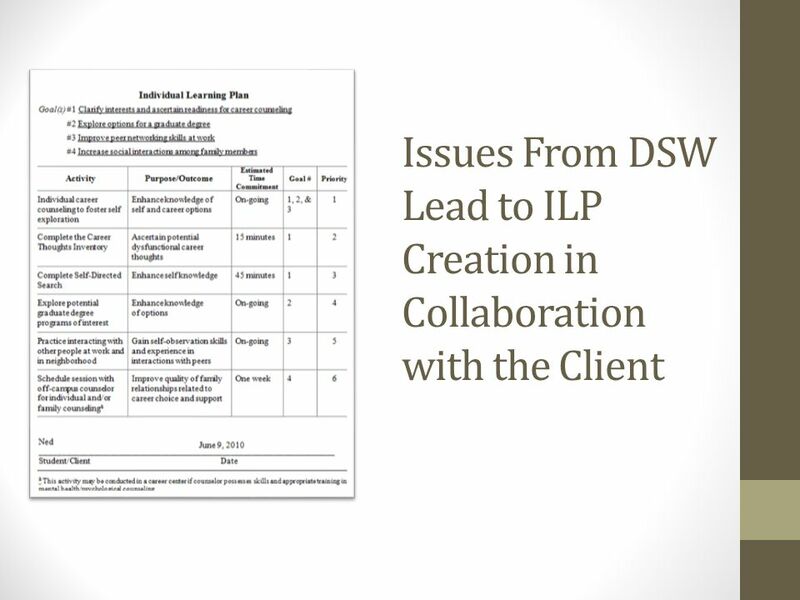 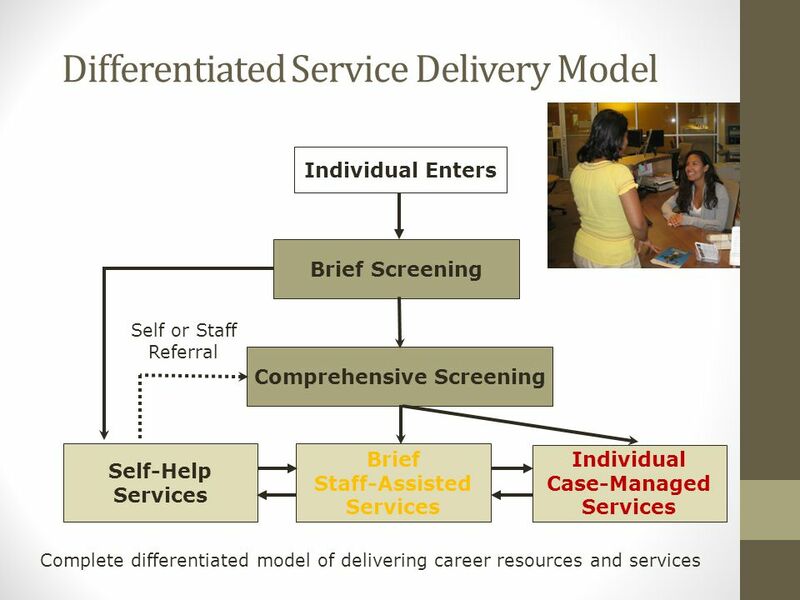 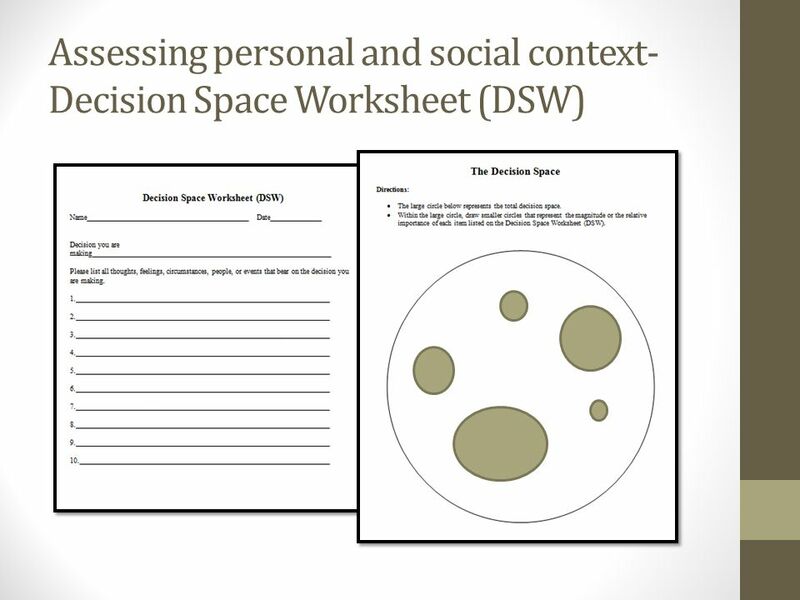 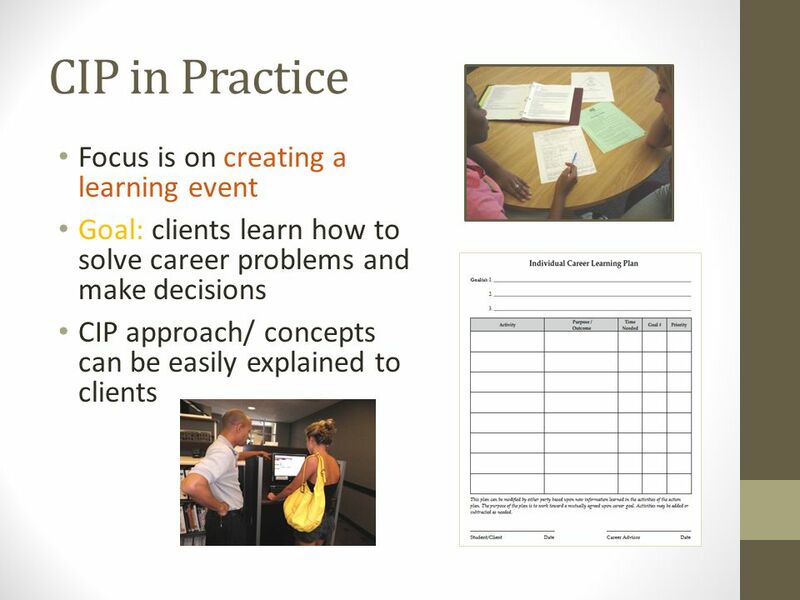 Using assessments that bridge career and mental health domains How can knowledge of career and mental health issues be used in developing an individualized learning plan? 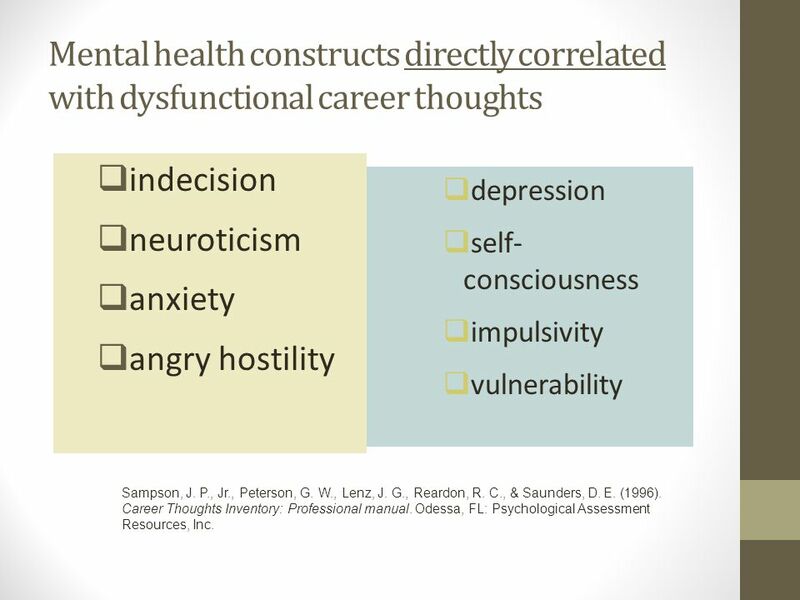 27 Mental health constructs directly correlated with dysfunctional career thoughts  indecision  neuroticism  anxiety  angry hostility  depression  self- consciousness  impulsivity  vulnerability Sampson, J. P., Jr., Peterson, G. W., Lenz, J. G., Reardon, R. C., & Saunders, D. E. (1996). 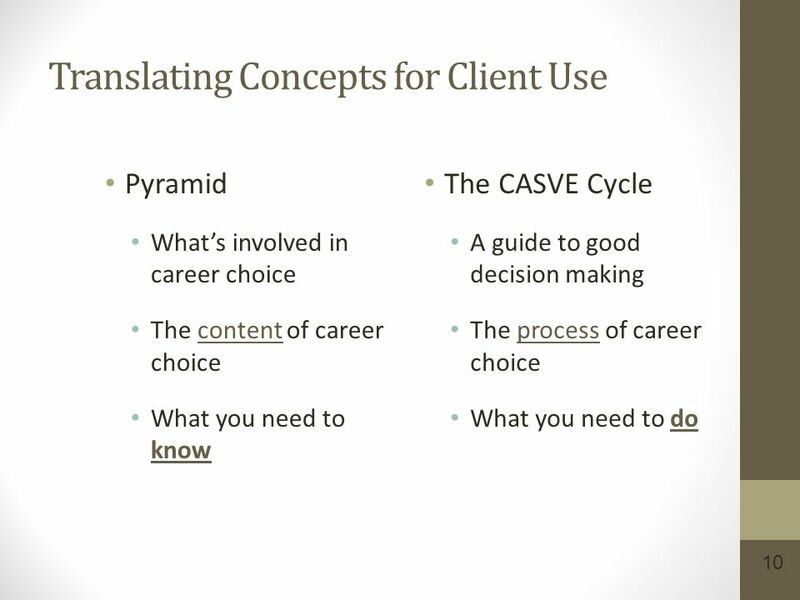 Career Thoughts Inventory: Professional manual. 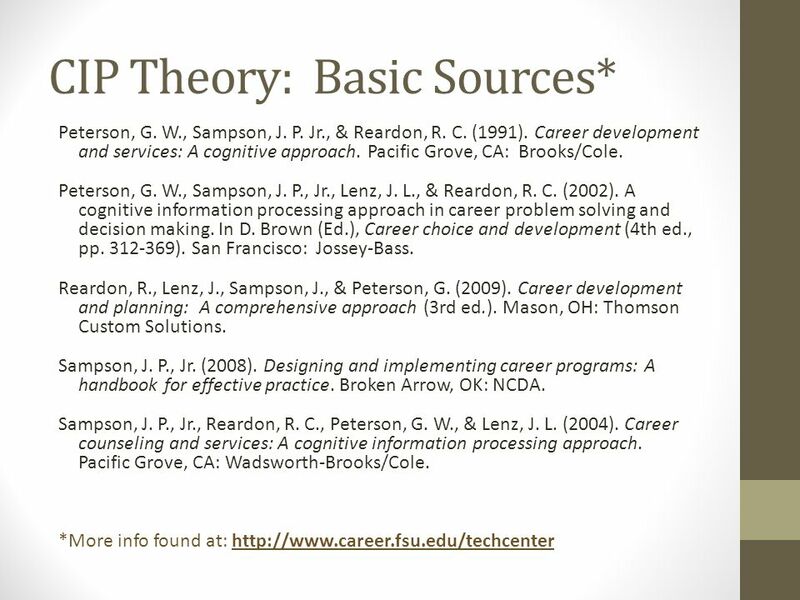 Odessa, FL: Psychological Assessment Resources, Inc.
Download ppt "Connecting Career Theory with Practice: A Cognitive Information Processing Approach Janet G. Lenz, Ph.D. Gary W. Peterson, Ph.D. Robert C. Reardon, Ph.D."
Career Courses in U.S. 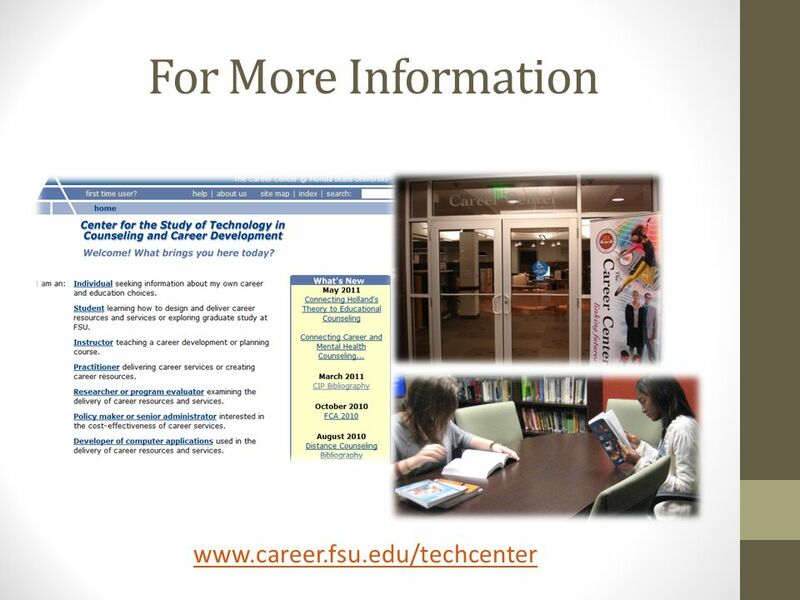 Universities Robert C. Reardon, Ph.D. Florida State University *With assistance from Janet G. Lenz, PhD, & Beth Lulgjuraj, MS/EdS. 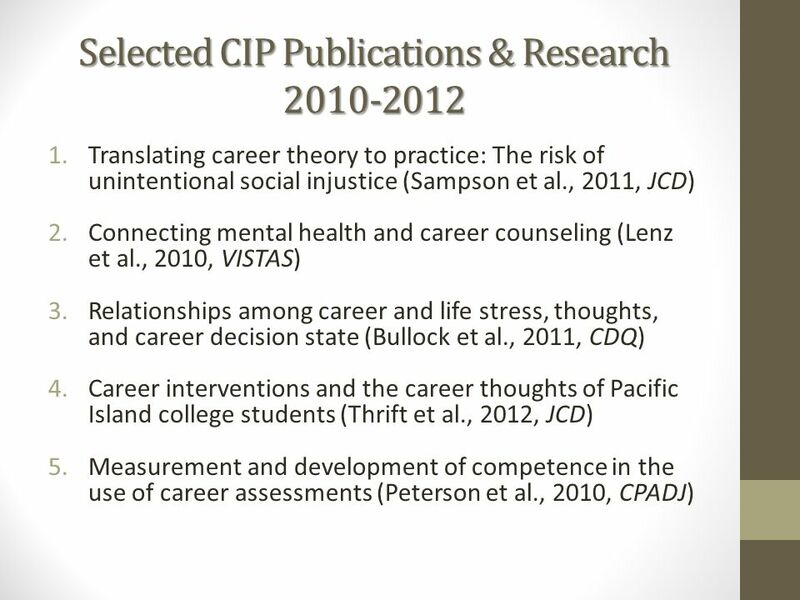 Janet G. Lenz, Ph.D. Gary W. Peterson, Ph.D. Robert C. Reardon, Ph.D. 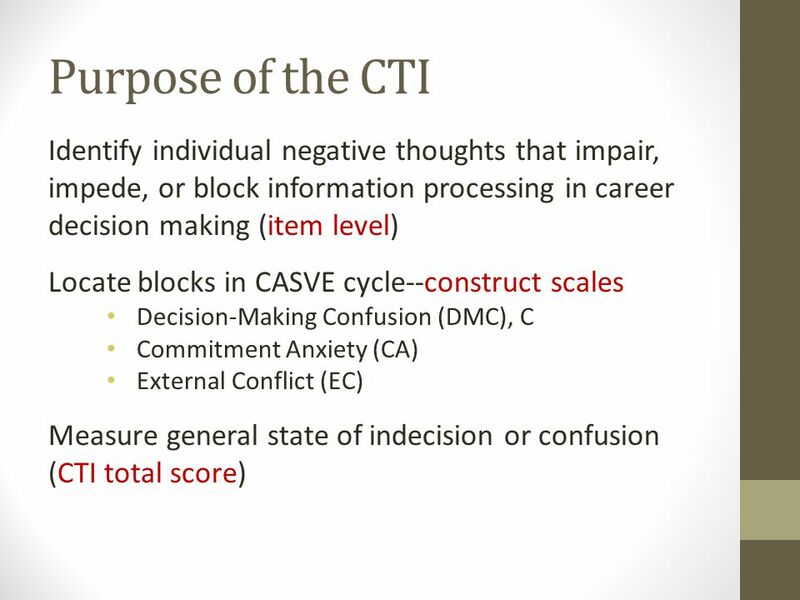 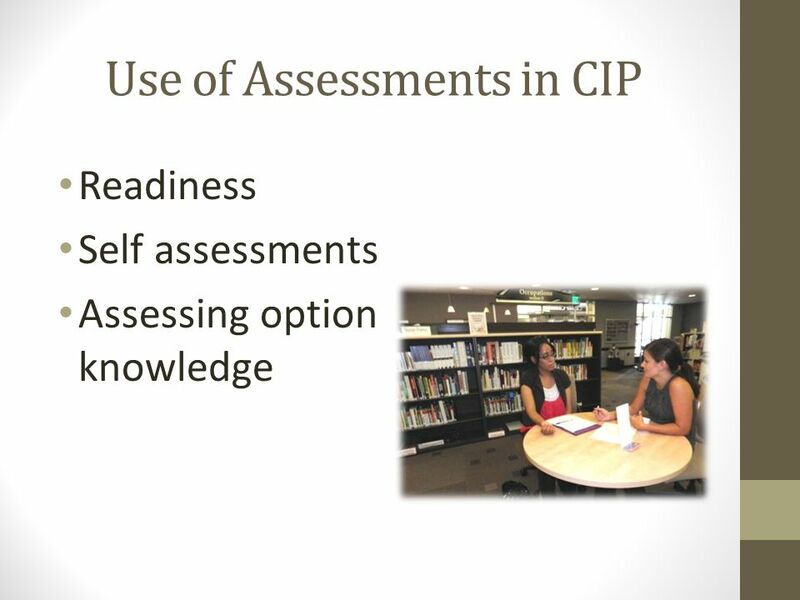 USING THE CTI TO ASSESS CLIENT READINESS FOR CAREER AND EMPLOYMENT DECISION MAKING James P. Sampson, Jr., Gary W. Peterson, Robert C. Reardon, Janet G.
Home 1 Career Counseling and Services: A Cognitive Information Processing Approach James P. Sampson, Jr., Robert C. Reardon, Gary W. Peterson, and Janet. 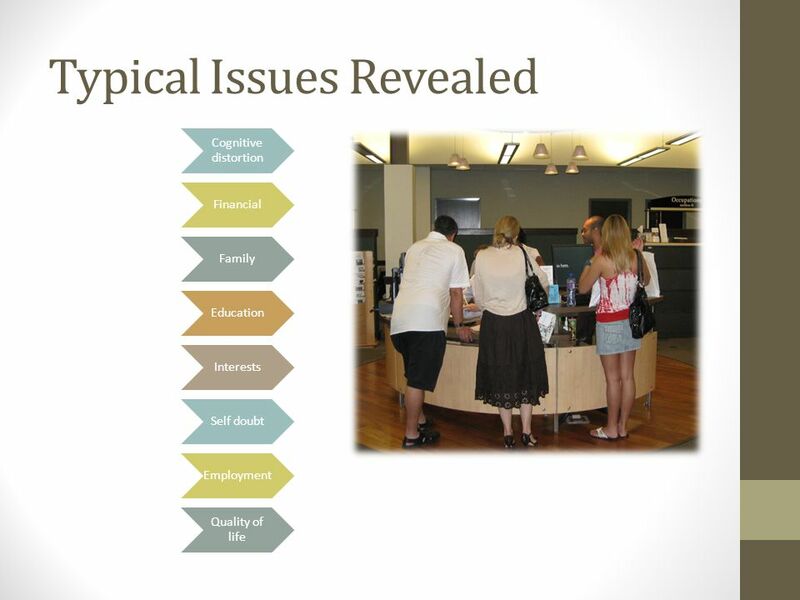 E SSENTIAL E LEMENTS OF C AREER C OUNSELING Ria E. Baker, Ph.D., LPC-S.
Guide to Decision-Making Tutorial. 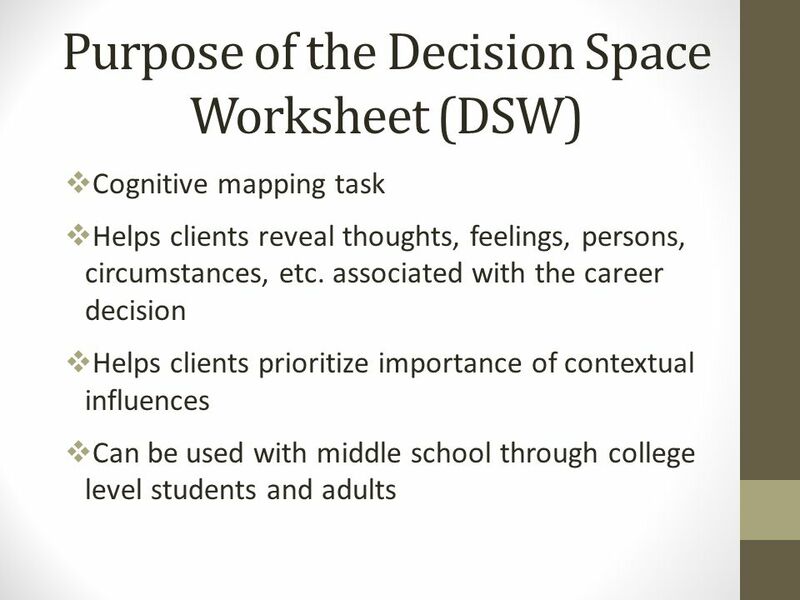 Decisions! 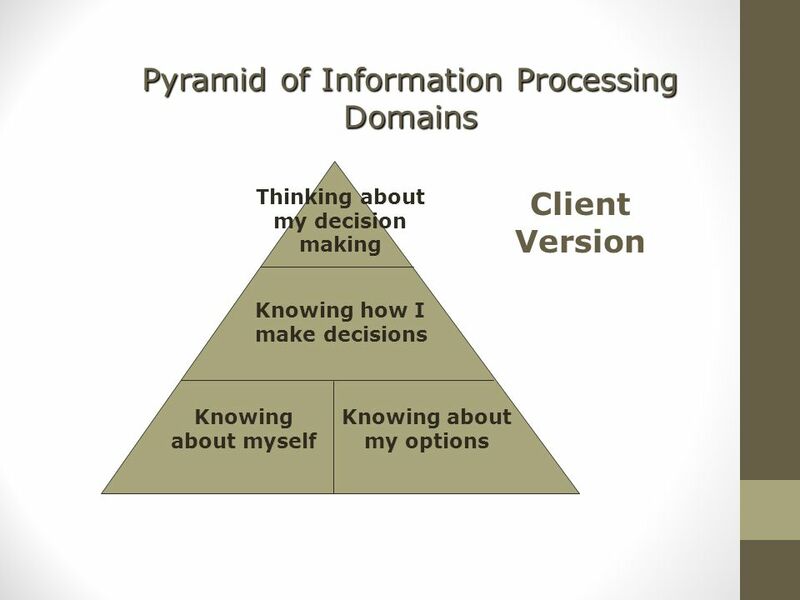 Decisions! 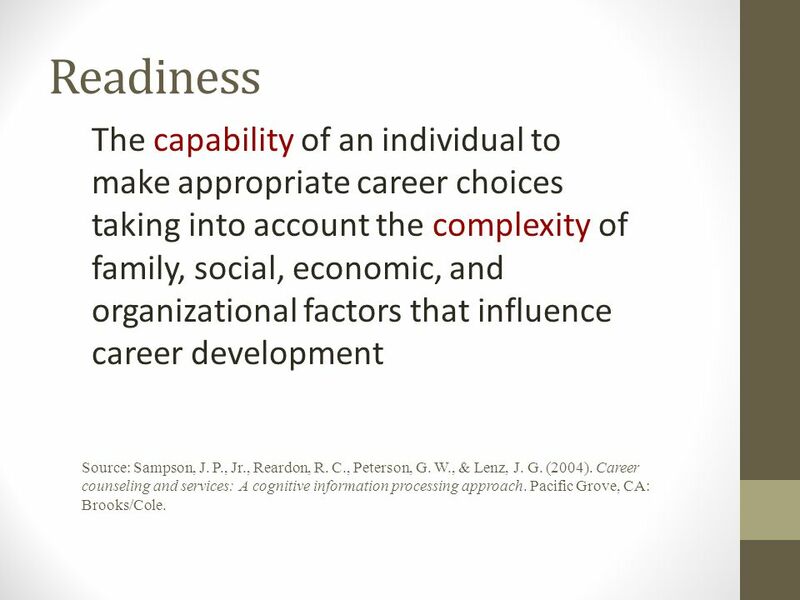 Decisions! 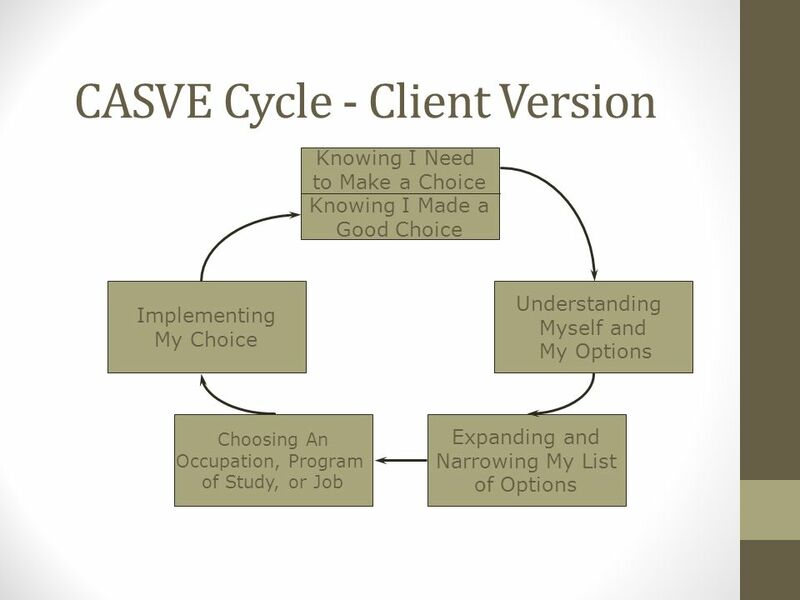 You’ve come to the point where you have to make some choices. 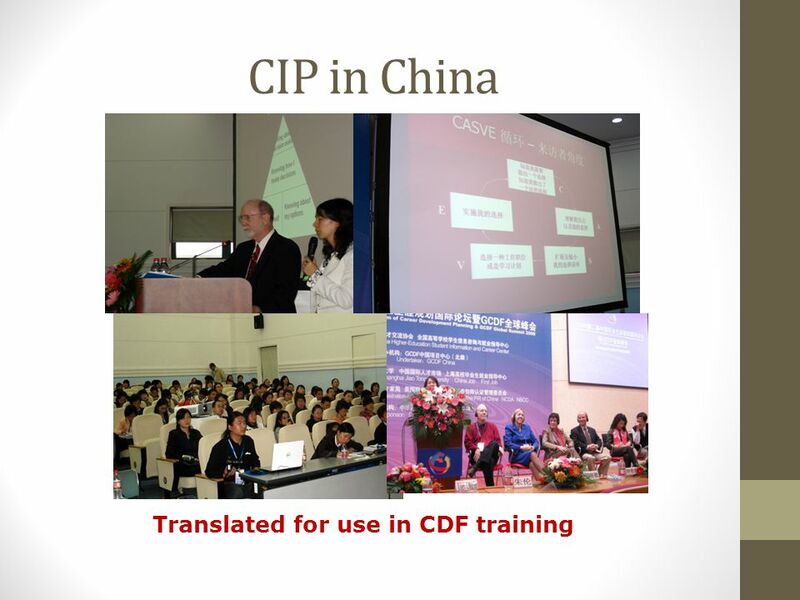 You’ve learned more. 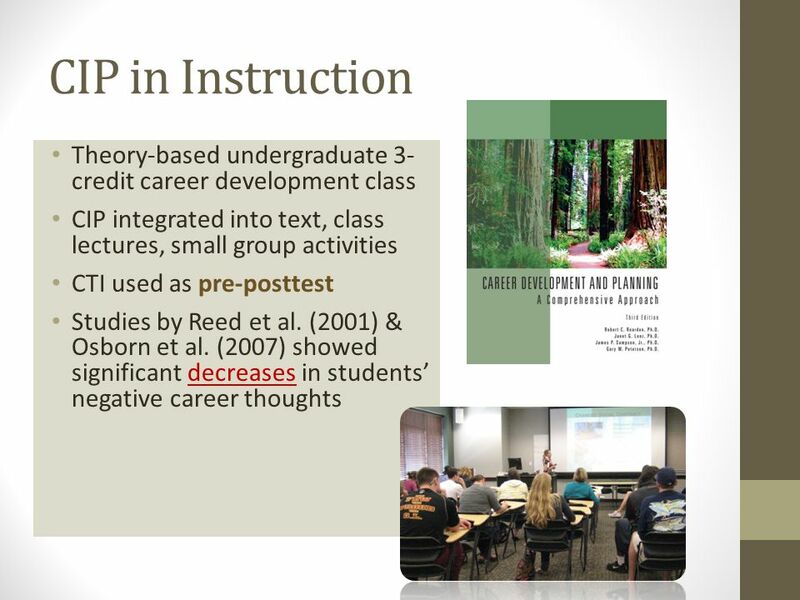 Advising First-Year Undecided Students: Research, Practice & Policy KIMBERLY S. SMITH, PhD Director of Undergraduate Advising Virginia Tech. 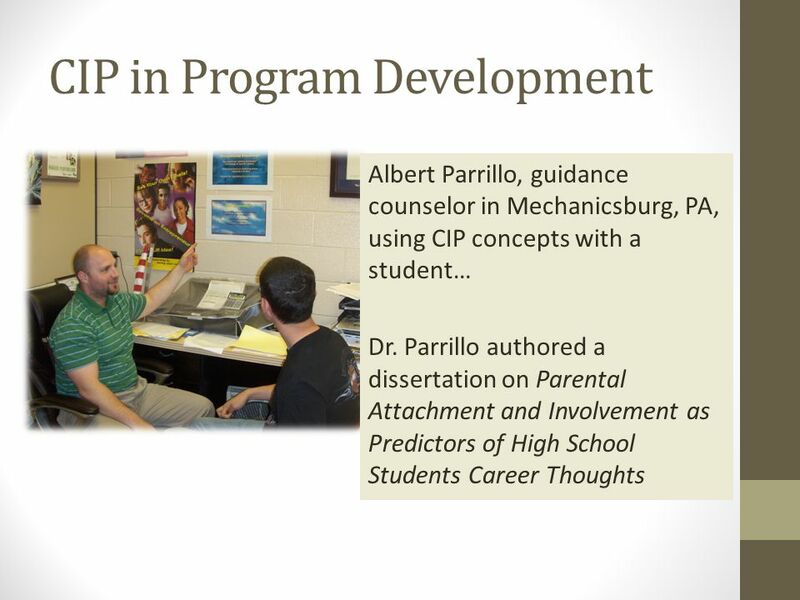 School Counselors as Advocates The Transformed School Counselor Chapter 5 ©2012 Cengage Learning. 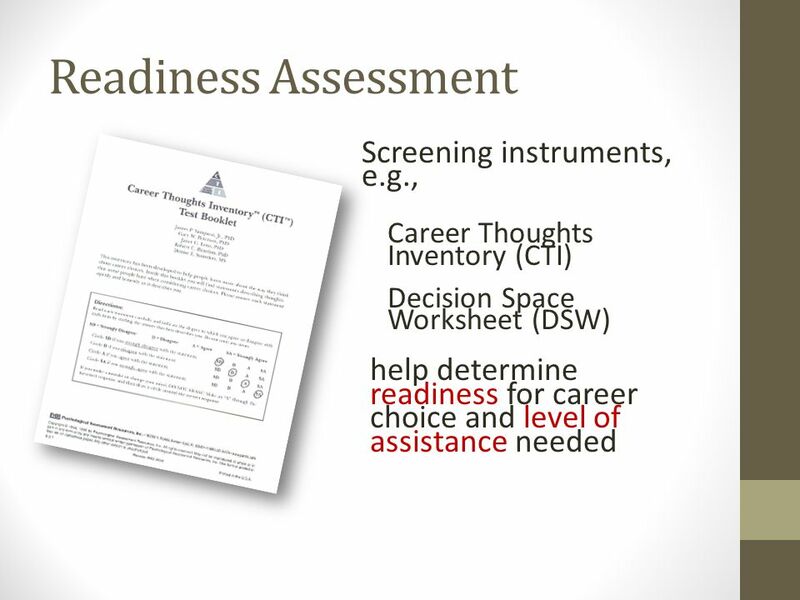 These materials are designed for classroom use and can. 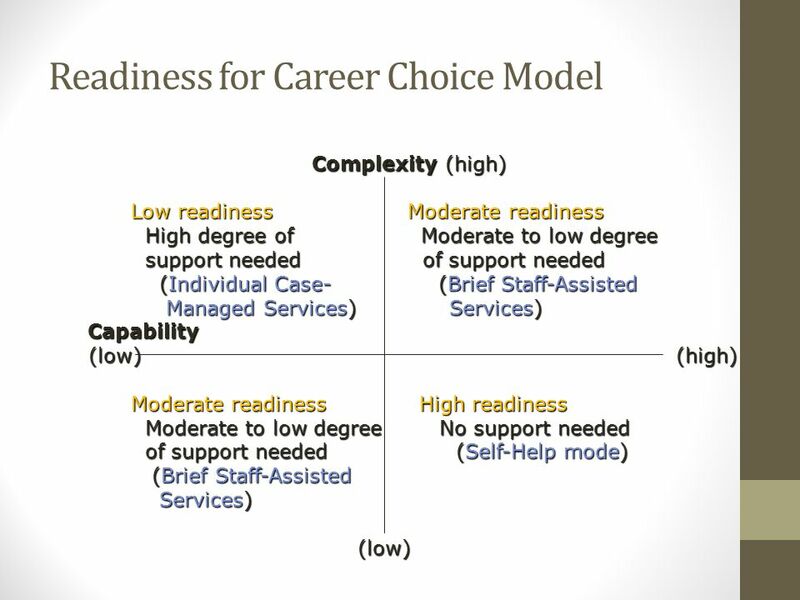 READINESS ASSESSMENT TOOL FOR ADULTS IN CAREER DECISION-MAKING Jukka Lerkkanen, Jyväskylä University of Applied Sciences Gary W. Peterson, Florida State. 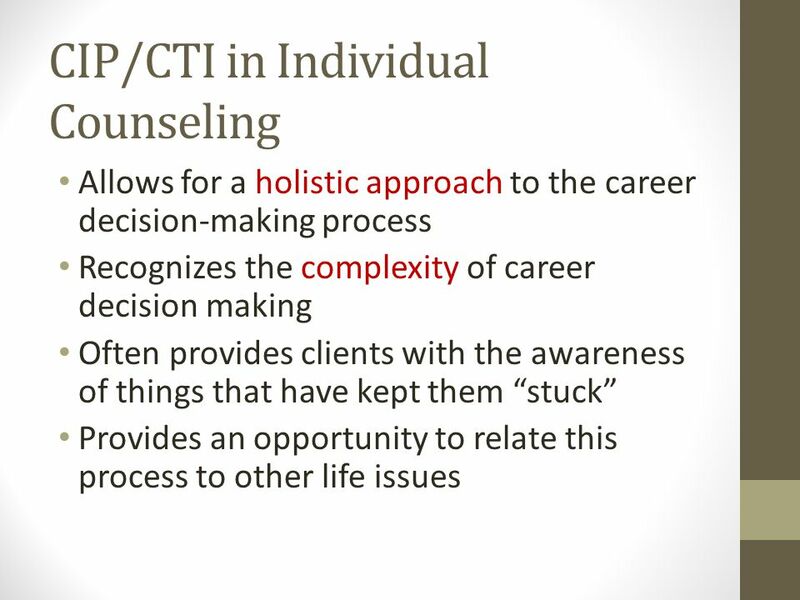 Home Career Counseling and Services: A Cognitive Information Processing Approach James P. Sampson, Jr., Robert C. Reardon, Gary W. Peterson, and Janet. 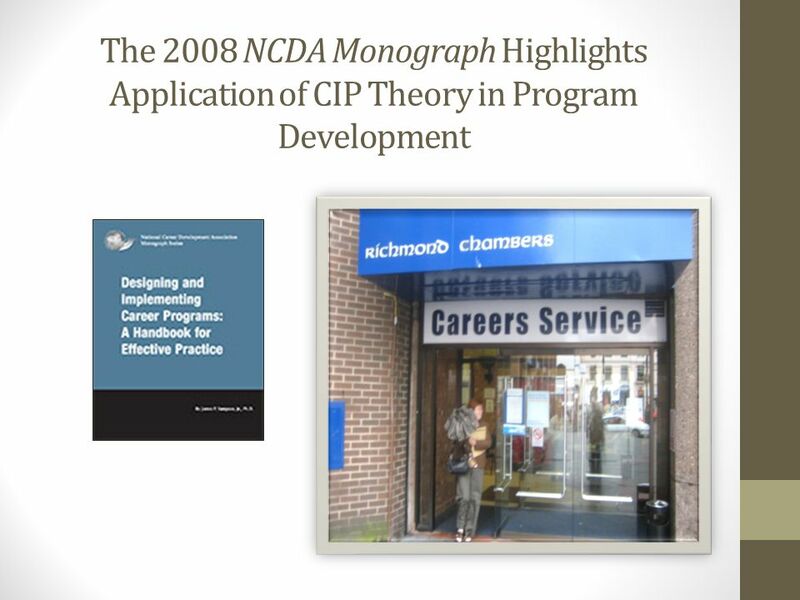 Providing Career and Mental Assistance to a Diverse Population: Using Theory to Inform Practice Janet Lenz, Ph.D. Robert Reardon, Ph.D. Debra Osborn, Ph.D.